The Torah relates that the Kohein Gadol wore a robe with bells attached to its hem to insure that before he entered the Sanctuary his presence would be announced. The Rashbam cites this verse as the source for the practice of Rabbi Yochanan, which was to knock on the door of his own home before entering . It seems logical to assume that the verse indicates that a person is required to announce himself before entering someone else’s home, not his own. The novelty of Rabbi Yochanan’s actions seems to be that he would knock before entering his own home. How can the Kohein Gadol’s requirement to announce himself before entering the Sanctuary, which is the home for the Shechina, be the source of the requirement for us to announce ourselves before entering our own homes? The Torah states “Ve’asu li mikdash veshachanti betocham” – “They should build for me a Sanctuary and I will reside in them .” In order to be grammatically correct, the verse should have stated “and I will reside in it” What message is being taught by this apparent inconsistency? Influenced by a secular society, many of us believe that in order to experience Hashem’s presence, we must be in the synagogue. We erroneously assume that entering the synagogue is akin to entering Hashem’s home. Consequently, when we leave the synagogue, we leave Hashem behind. Rabbi Yochanan is teaching us that although the structure we build is for Hashem’s presence to rest, it is nevertheless still considered our home. The Tabernacle, and on a smaller scale our houses of worship are the communal prototype of what our own homes should be. Hashem’s presence should not be confined to a structure which is deemed His home, for in such a case, we cannot draw an example from it on a personal level, for our own homes. The Tabernacle is to be viewed as the blueprint for the building of our own individual homes. Therefore, we are commanded to build a structure in a manner which will ultimately facilitate not only the Divine presence resting within it but more importantly the Divine presence resting within us. 1. Pesachim 112a see Vayikra Rabbah 21:8 2.25:8 see Rav S.R. Hirsch’s comments to this verse in his sefer Chorev. There is a Midrash which discusses the a priori axiom of the Torah. Rabbi Akiva states that the a priori axiom is “ve’ahavta lerayacha kamocha” – “love your friend as you do yourself .” Ben Azai cites the verse “Zeh sefer toldos adam, beyom bero Elokim adam bidmus Elokim asah oso” – “This is the account of man’s origin: On the day that Hashem created man, He made him in his likeness [2,3].” A variant Midrash, recorded by the author of the Ein Yaakov, offers a third opinion. Rabbi Shimon ben Pazi states “Es hakeves ha’echad ta’aseh baboker, ve’es hakeves ha’sheini ta’aseh bein ha’arbayim” – “You shall offer one sheep in the morning and a second sheep shall you offer in the afternoon” as the a priori axiom.4 What is the issue being disputed by these three opinions? There are three basic relationships which each individual is expected to perfect exist in this world. These relationships are “bein adam le’atzmo” – “man’s relationship to himself”, “bein adam lachaveiro” – “man’s relationship to his fellow man”, and “bein adam lamakom” – “man’s relationship to Hashem”. The three relationships are interdependent to the extent that if there is a deficiency within one of them, all three are lacking. Fundamental to man’s ability to accomplish and succeed in any endeavor in life is his degree of self-esteem. A person with low self-esteem is not motivated to accomplish. What should a person focus on so that he may develop a positive definition of himself? Rabbi Akiva maintains that by performing acts of kindness and exhibiting love toward his fellow man, a person will build up a positive perception of himself. By learning to love others, a person comes to love himself. Ben Azai disagrees. He maintains that a person with a low self-image, who does not love himself, cannot love others. How then does a person come to appreciate himself? The Torah teaches that man is created in Hashem’s image. The most heinous of transgressors, the blasphemer is required to be buried before nightfall of the day he is executed. Rashi explains that it is deprecating to Hashem, in whose image the blasphemer was created, for his corpse to remain exposed overnight. Even the corpse of this sinner retains the stamp of G-d’s likeness. Therefore, the knowledge that man is a G-dly being is sufficient to give man a positive definition of himself, thereby enabling him to perfect his other relationships. 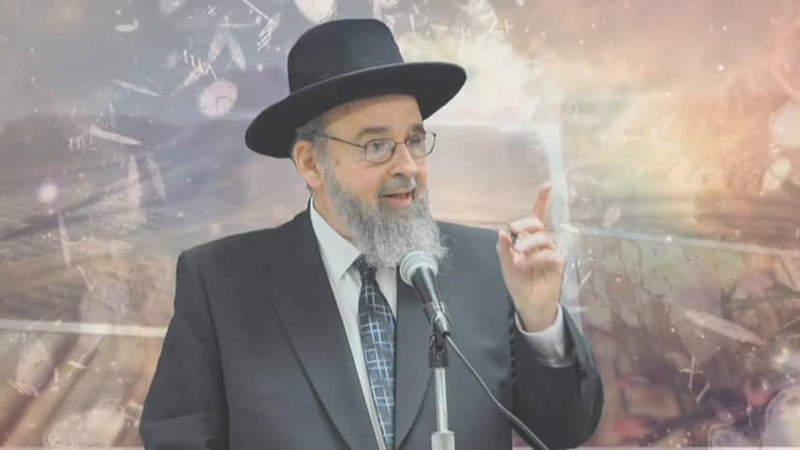 Rabbi Shimon ben Pazi does not find Ben Azai’s solution satisfactory, for the knowledge that man is created in Hashem’s image is only indicative of man’s potential. The awareness of this potential cannot be the source of man’s self-esteem. On the contrary, a person’s self-esteem can be extremely damaged by the knowledge that he has tremendous potential, but he is not actually achieving to potential.. Therefore, Rabbi Shimon ben Pazi offers an alternative solution. Hashem requires man to serve Him by bringing offerings twice daily. This means that although Hashem is omnipotent, He has created a relationship with Bnei Yisroel by which we can offer Him something. We can cater to His “needs”. The knowledge that a person is needed in a relationship is an enormous self-esteem builder. The ultimate boost in self-esteem comes when a person recognizes that the One who needs him is Hashem. The understanding that we have a relationship with Hashem and He desires that we serve Him, gives man self-esteem and is also the vehicle through which man can actualize his potential. The system that Hashem has designed for us to follow is the path which we must take to ultimately be fulfilled. For man to actualize his potential, he must first develop his self-esteem.. According to Rabbi Akiva, this can be achieved by focusing upon his relationships with his fellow men. Ben Azai argues that man’s relationship with himself is the key to a positive self-definition, while Rabbi Shimon ben Pazi maintains that man’s awareness of his relationship with Hashem is the building block to success in all relationships.